Roth is great reading as is his journalism and guidebook to Berlin. He is a main character as is his supporter, Stefan Zweig in Volker Weidermann’s “Ostend- The Summer before the Dark”. 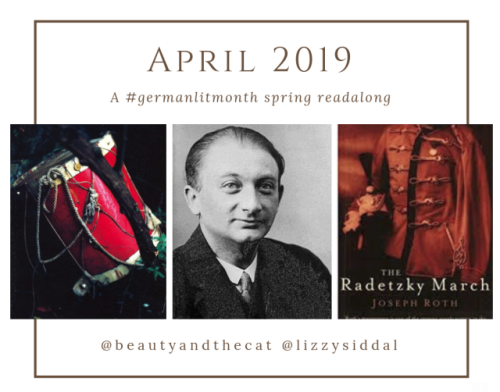 When Caroline, at Beauty is a Sleeping Cat, and Lizzy, at Lizzy’s Literary Life, announced that they were hosting a ‘Radetzy March Readalong’ I knew I’d have to join in. The Radetzky March is comprised of three parts and Caroline and Lizzy have asked those of us taking part to consider questions related to each part. Here are my answers to the questions on Part One. What enticed you to readalong with us?